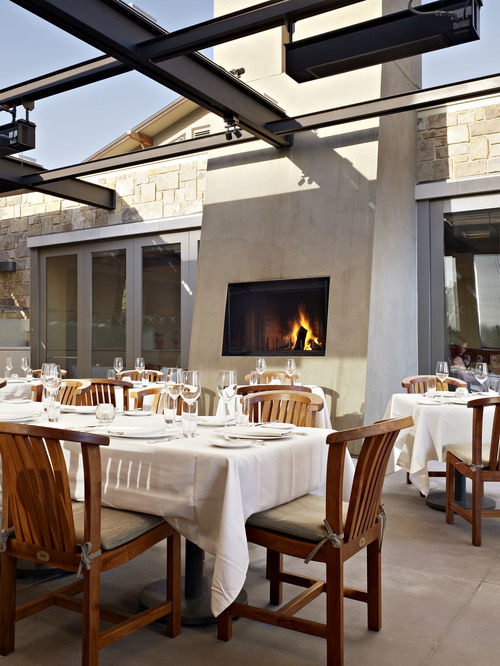 Bank is the lobby bar and breakfast and lunch venue at the Westin Verasa Hotel in Napa California. Bank is the companion to the LaToque Restaurant operated by the renowned Chef Ken Frank. Bank was designed as the central feature of the hotel lobby to provide a social gathering space. A large pair of folding doors connect the venue to an outdoor dining area adjacent to the hotel pool deck. A suspended ornamental metal feature above the bar displays a collection of magnums from the most esteemed Napa Valley vintners. The walls are finished with teak reclaimed from shipping containers.